 South Pacific Williamstown became part of our Health Club family in 2012. We have many staff members who are local residents and this brings a beautiful sense of community right from the moment you walk in. As a member, you will benefit from fully qualified Personal Trainers providing complimentary initial and ongoing health checks and personalised fitness program reviews. In addition, we also have a private personal training studio. Simply meet your trainer in our relaxed members’ lounge before your session. Our Group Exercise Program at our Williamstown Club offers great variety with over 60 classes a week, undertaken by instructors who have been working at this Club for many years. They know exactly what the Williamstown members are looking for in their workout. They’re welcoming and motivating so you will forever be entertained and pushed to your limits. Classes include Boxing, Cycle, Reformer Pilates, Yoga, Freestyle Step, Bodypump, LM Tone, Bodybalance, RPM, CXWORX, High Intensity Interval Training, Circuit, Sh’Bam & Zumba. With great views of the Bay, plenty of space, a variety of your favourite equipment and stunning natural light, you will feel right at home at this club. Due to the ongoing changes to the timetable over the summer holiday period the interactive timetable has been temporarily replaced with the weekly pdf timetables. To book a reformer pilates class please view the PDF timetables for class times then click here to book a session. To book a reformer pilates class please select the class in the online timetable and then click ‘Book Session’ or view the PDF timetable for class times then click here to book a session. Please note: We will be running a modified timetable over the Easter and Anzac Day Period. Normal classes will operate on Tuesday 23rd April and Wednesday 24th April. Normal hours and classes will resume from Friday 26th April. To book a reformer pilates class at Williamstown please view the PDF timetables for class times then click here to book a session. Perfect isn’t necessary. Consistency is. Abraam commenced his sport and fitness journey at an early age with many challenges faced. Abraam aspired of becoming a soccer player and was determined to succeed. He would train in his room after school doing push ups and sit ups along with eating healthy, as he was an overweight child and knew that the first steps to achieve his dream was getting fit and losing weight. As he got older he began training at a gym whilst playing in a local soccer team, this gave him the confidence and motivation he needed. Abraam’s body was challenged with patella tendinitis (knee injury) halting his soccer aspirations which made him decide to take his training more seriously. He sees his injury as a blessing as it made him learn the mechanics of the body. He realised he needed to stretch and strengthen certain muscles to overcome his knee injury. 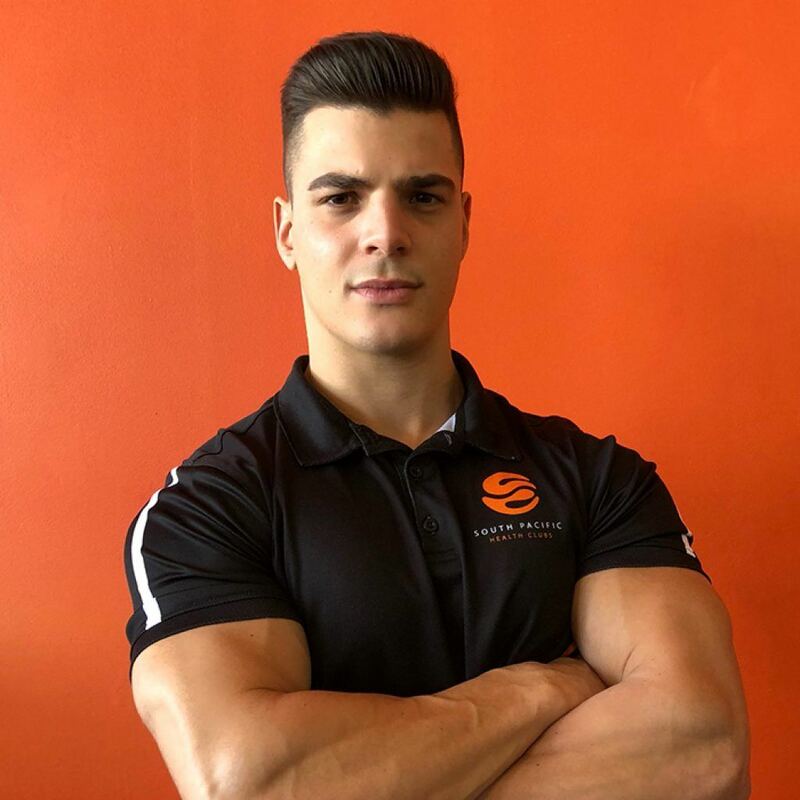 Abraam realised his true passion for fitness through his challenges and now wants to share his knowledge to help others achieve their strength and conditioning or weight loss goals. Abraam believes in honesty and doing everything he can to help his clients, he is very friendly and likes to vary up his training to keep things interesting for you, as he believes that training should be challenging but also enjoyable. Meeckie commenced her career in 2006 with the opening of her own studio specialising in the field of women’s strength and hormone health. Training as a South African Callanetics instructor and trainer allowed Meeckie to have incredible opportunity to assist women in understanding their bodies and fitness abilities. Within this style, Meeckie furthered her interest into women’s strength training, postural alignment, pelvic floor and core and combined these methods to achieve long lasting results with her clients. Meeckie has most recently undertaken her certificate IV in therapeutic, sports and deep tissue massage continuing on to obtain a Diploma in Remedial massage. “My aim is to be able to support my clients with the best services and knowledge to bring the best in each person forward.” Meeckie works on the basis that goals require focus, determination and support. As a mother and a parent, Meeckie is friendly, outgoing and approachable. She also understands what it takes to look after yourself first. 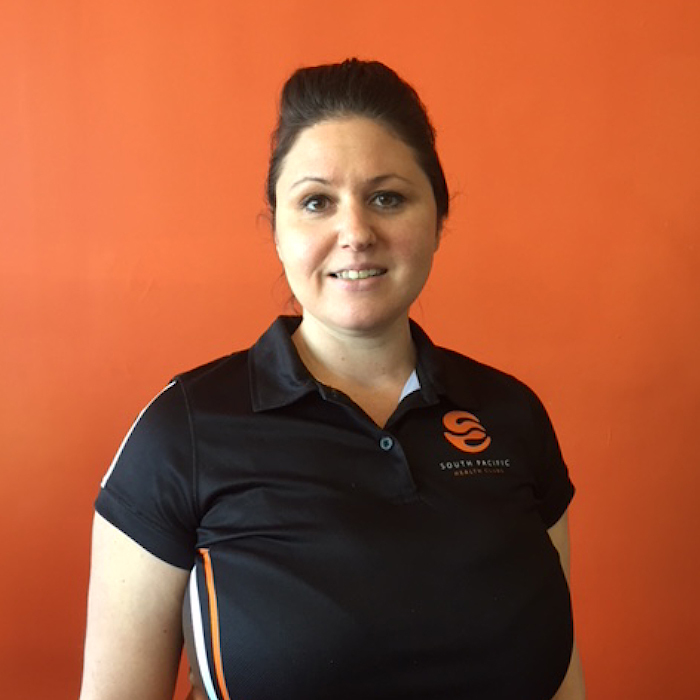 As a PT at South Pacific Health Club she looks forward to working with you to achieve your goals and beyond. It’s not easy and that is why she will not only train with you but also educate you step by step to best achieve your goals. I have been working as a recognised professional in the fitness industry for two years now and have worked with clients of all ages. During that time my main specialties have become assisting with weight loss and posture correction, and improving the everyday health and well-being of all my clients. I work in a co-operative and careful manner with clients both on task at the gym and by monitoring their programs outside the gym. It assists them to reach their goals and stay on track. Assisting people to plan for and work through life changes and challenges has always been a passion of mine. I have a unique ability to enable people to look at life through a different lens and achieve their personal goals more effectively. Physical Fitness has been installed in Nick since a very young age. Playing a variety of ball sports as a child and teen he eventually began to focus on more specifically tennis and basketball. However, it’s more than just sport that Nick has driven within him. His friends and family have often known since a young age that Nick was destined to end up in a career in the physical fitness industry. 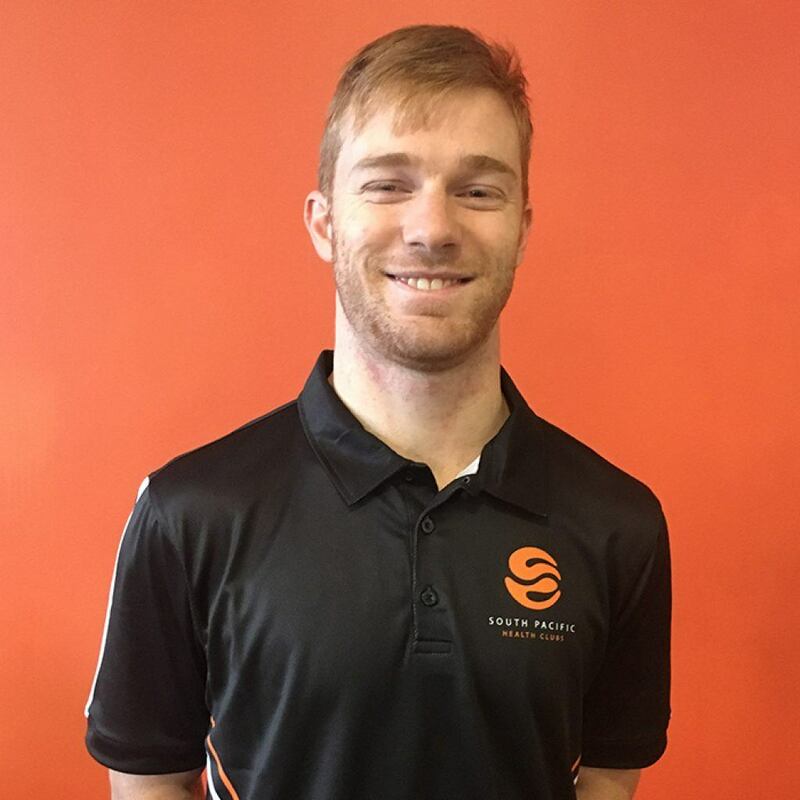 Following the completion of high school, Nick did some external studies, including exercise science and completing a business diploma before beginning personal training. His passion really grew through extending his growing knowledge to other individuals’, who like him are desired to better themselves. 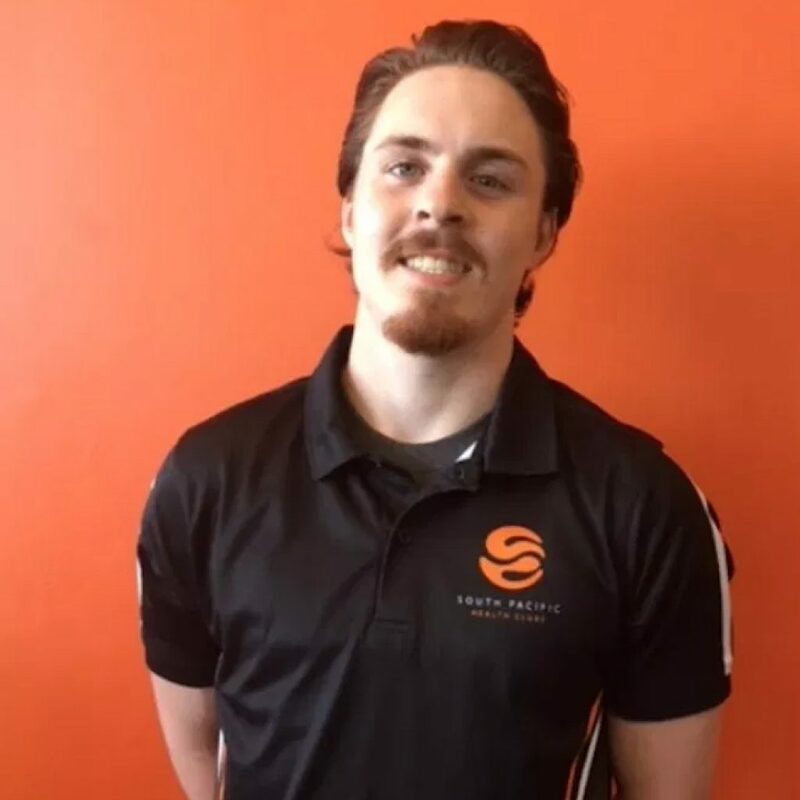 The energy he brings to the workplace as a trainer allows individuals’ to understand Nick’s enthusiasm to his work. To add, Nick has completed several years in customer service work, allowing him to understand all different types of people and their values and goals. 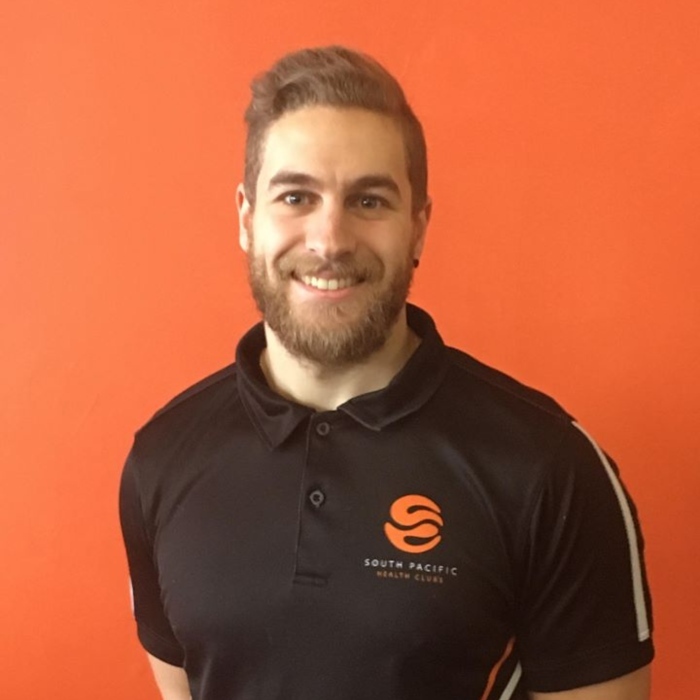 Specialising in high intensity training, Nick enjoys individuals’ who love to get out what they put in, and enjoy hard working people who seek to hit their goals and get the best of themselves within the weight room. Nick first started here at South pacific a year ago as a receptionist with a key objective of becoming a Personal Trainer. Nick participated in many sports growing up, which developed his determination and curiosity in the sports and fitness industry. This inspired him to never turn down a challenge or opportunities for new experiences. His curiosity leads him to challenge himself physically and mentally through competing in bodybuilding and sports modelling. His determination resulted in placing first for the overall completion. He learnt a lot about the human body and how it helps him to achieve his individual goals. His own transformation inspired him to share his experience and advice with others through social media. 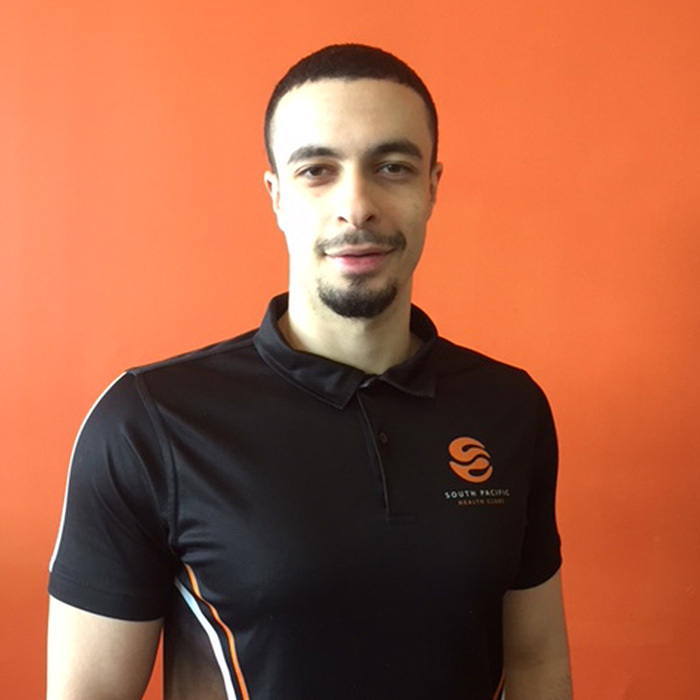 Nick would like to offer his service as a Personal Trainer to help you achieve your own Body Transformation. 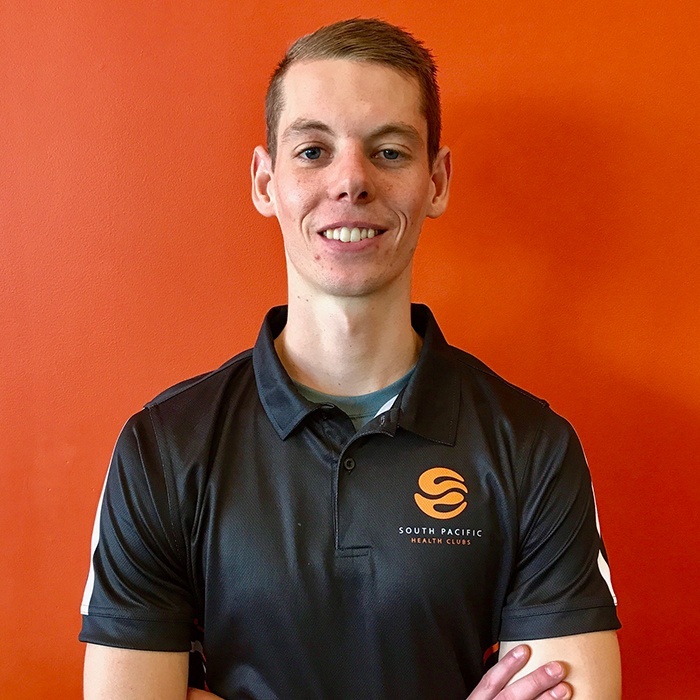 Having previously trained people in the corporate environment in the city, where busy and full on lifestyles were common Zach found ways to work healthy living into their lives with some significant results. And by working with clients ranging from university students to middle aged and older clientele he can communicate with people of all ages and backgrounds. His biggest skills in training are with functional strength & conditioning, and nutrition coaching, by working with you to improve your healthy eating habits and skills so it’s easy for you to sustain, rather than giving you a meal plan you’re unlikely to follow (at least for a long time). Through a personalised approach, clients will receive the highest quality of coaching. No gimmicks, or fancy equipment, just real scientific and evidence-based training! Programs are tailored to each individual and incorporate their performance goals. Whether it be general health and wellness, strength and conditioning, athletic development or rehabilitation, Michael has you covered. Michael has immense experience working with many demographics, including elite level athletes.  On your journey to reach your health and fitness goals, Michael will become your partner, educator and motivator; being there for you each step of the way. Miles has worked closely with personal trainers and sports scientists for 8 years, developing his knowledge and skill set as both an athlete and trainer. As he is currently training as a power lifter chasing national records, Miles specialises in strength training and athletic conditioning, as well as muscle building and toning. 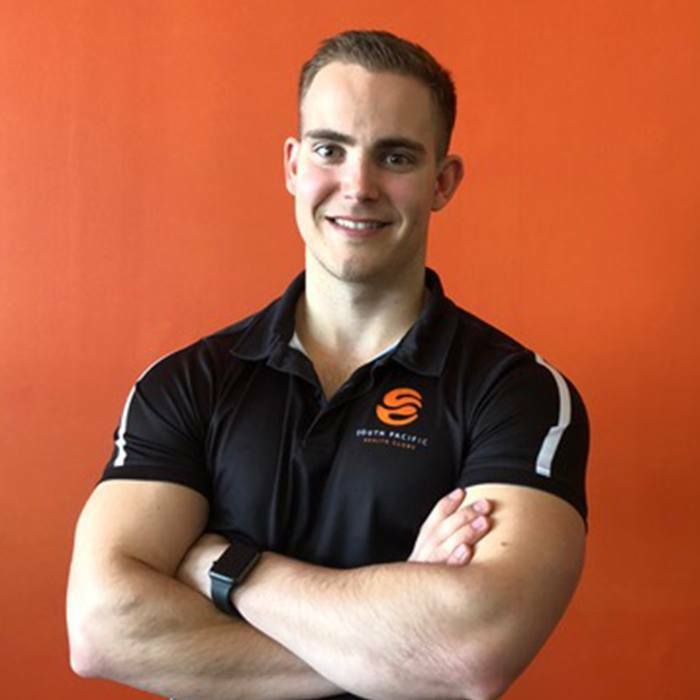 As the founder of The Miles Andrew Strength & Conditioning Academy, Miles prides himself on offering exceptional professionalism and personalisation to help you achieve all your fitness goals.